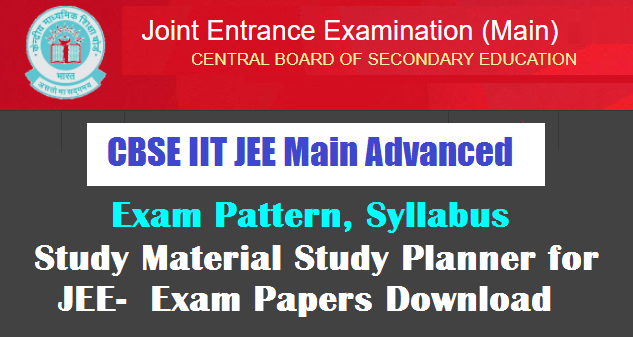 JEE MAIN 2018 Study Material Download Section Study Planner for JEE Exam Papers, Most noteworthy, download the following important Exam question paper pdf for preparation JEE Main 2018 is an important exam to procure a seat in top engineering colleges like 31 NITs, CFTIs, IIITs and other government colleges. Also, Joint Entrance Exam (MAIN) is an eligibility exam for Joint Entrance Exam (Advanced). CBSE released the notification along with admission process for JEE Main 2018 JEE Main 2018 Exam Pattern, Counselling, Seat allotment and Admission Process details here . ➤Download New Syllabus pdf of JEE Main 2018 Here.